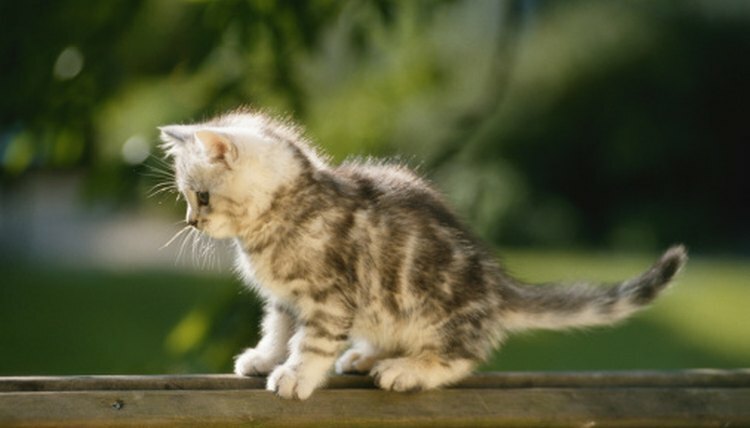 If you allow your cat to go outdoors at any time, a tick is a real possibility. A pet cat should be supervised outdoors and kept in an enclosed area, but no matter how careful you are, your cat may still encounter a tick. After you bring your cat back inside, you should check it for ticks. One of the worst places to find a tick on your cat would be the eyelids. However, if this happens, it’s important not to panic and to remove the tick as soon as possible. Ask someone to hold your cat in place to keep it still while you remove the tick. If possible, the person should hold your cat’s head and place a finger gently over the eye so your cat closes its eyelid. Grab the tick using tweezers. Grip the tick’s head just above where the mouth is attached to your cat’s eyelid. Pull the tick slowly from the eyelid by moving away from your cat with the tweezers. Avoid any twisting or jerking as you pull. Put the tick into a container filled with rubbing alcohol. Alcohol will kill the tick, water will not. Rub a small amount of antibiotic ointment onto the area of your cat’s eyelid where you removed the tick. Be very careful not to get the antibiotic ointment in the cat’s eye. Do not grip the tick by the body.